This retreat marks an important moment in South Africa, in the approach to the 6th national elections. Is this the chance for the country to pull together, and for everyone to use their unique skills to benefit the collective, or do we continue down the pathway of self-interest? These questions are not just arising in South Africa. All over the world, communities are fractured, people are growing more isolated and we feel internal dis-ease and disconnection. What can we do – in our individual and collective lives – to create a shift – a tipping point – to a more inclusive and cohesive world? The Wisdom Traditions of Africa and the East give clear practices and guidance. Our teachers and ancestors invite us to see more clearly, to become ‘enlightened’, not simply for our own benefit, but to bring cohesion, unity and joy to the world in which we are embedded. Our happiness is the happiness of others; others joy transmits joy to us. Our sphere of influence is not as important as our wholehearted intention. Our interconnectedness means that every action carried out with the wish to benefit others can have a far-reaching impact. Whether we are a parent, wanting to raise children who have the awareness and adaptability to cope with their future world, or the leader of a company or NPO. The scale at which we work depends on our personality and our skilset. Our impact, though, can be enormous, if we keep focused on moment-by-moment actions guided by intention. During the Still Action Retreat we will explore ways to move within, through a range of contemplative practices, in order to act in the world with greater impact. Dr Ela Manga will offer Breathwork practices and many insights from her book ‘Breathe’. Dr Lucy Draper-Clarke will share a range of sitting and movement practices. These include yin and yang yoga, combined with mindfulness and compassion practices. Feel confident with one or more inward practices, which you can commit to every day, in order to keep aligned and replenished. Identify your unique offering and purpose in this world, based on your personality and skillset. Find clarity on ways to bring this into the world for the benefit of yourselves and others. Connect with a like-minded community who will keep you strong when the road seems long. We will use the many ‘classrooms’ at the Tara Rokpa Centre to hold the space for our inner and outer unfolding. The lack of cellphone network gives us the rare opportunity to connect deeply with the people and environment around and within us. Meditation and movement sessions will take place in the earthy, nurturing space of the Octagon. Discussions and connections naturally occur in the open-air dining hall, over delicious vegetarian meals. 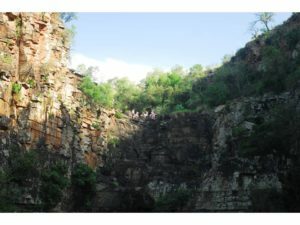 The natural world, particularly the top of Tara’s Waterfall, will be the space to connect with the wisdom of nature, and give birth to our deepest aspirations for the future. Dr Ela Manga , author of international best seller ‘Breathe: strategising energy in the age of burnout’ is a medical doctor, author and speaker committed to conscious living and bringing heart back into the art of medicine. Her training as a medical doctor was just the first step towards her true vocation as a co-creator of health and a catalyst for change. 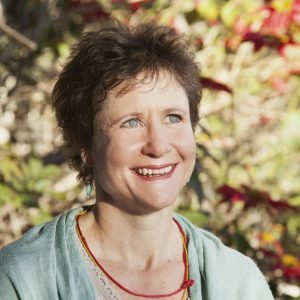 Dr Lucy Draper-Clarke is an educator, writer and researcher-practitioner, with a doctorate in mindfulness and teacher education. She has been teaching yoga and mindfulness for almost 15 years. She is lecturing at Wits, with Drama for Life, and conducting research on Contemplative Activism and African Contemplative Practices. presence and joy. She runs Heart-Mind Consultancy and leads courses and retreats around Southern Africa, particularly the Tara Rokpa Centre. 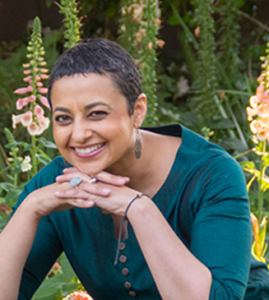 Her light-hearted approach to teaching allows participants to learn through a joyful, yet deeply transformative practice. The rates include lacto-ovo vegetarian meals from Friday evening to Sunday lunch, a facilitator’s fee and an optional environmental levy of R60. Please do not let your inability to pay prevent you from attending. Get in touch with the organisers for bursaries and volunteer trades. Please click on this link to book. A 50% deposit will secure your choice of accommodation. « Sing your heart and play your body!